Nothing like a mind-blowing hump day! Let me explain… because that sounded bad. So I’m scrolling through my news feed this AM and I stumbled on a shared post, by a friend’s Mom, related to folding fitted sheets. 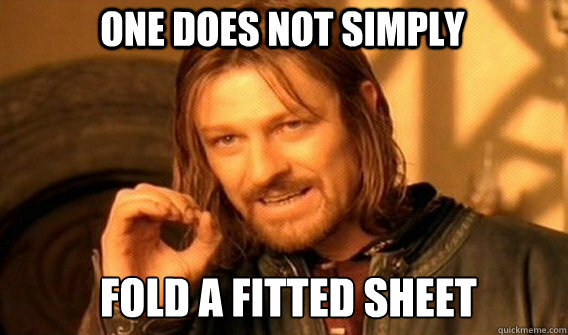 Ah fitted sheets. The most annoying article to pull out of the dryer and fold. How can you fold something without corners! My approach has always been to definitely tuck the corners into each other, but instead of laying it down to create a flat rectangle out of it, the right way, I kind of just fold it over as best I can into a sloppy not-so-square thing. But this approach is legit. I can’t believe there’s a “right way”. Well, actually, I guess I can. They do come folded nicely in a package when you buy them from the store. 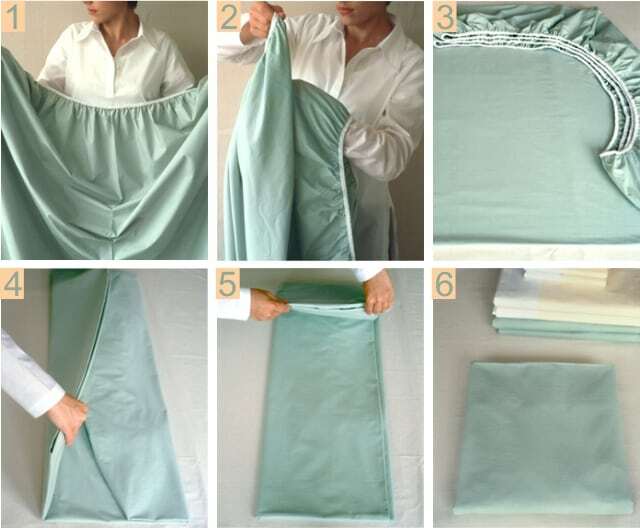 I cannot wait to wash my sheets this weekend and fold the fitted one the right way!